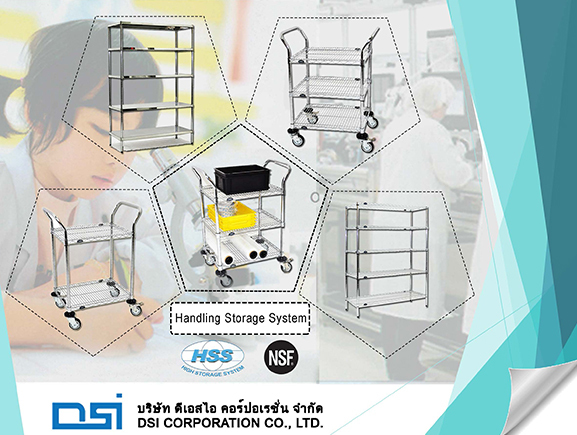 HSS has been a specialist in stainless steel shelves for more than 15 years. It sells to electronic components manufacturers and other industries such as hospitals and hotels. The taper shelf system is a high-tech system. It is versatile and has been designed with care. It is resistant to extreme pressure, durable and always look modern. HSS shelf products are certified by NSF International and covered by product liability insurance. NSF (National Sanitation Foundation) International, founded in 1944, is known for the development of standards, product testing and certification services in the areas of public health, safety and protection of the environment. The NSF Mark is placed on millions of consumer, commercial and industrial annually and is trusted by users, regulators and manufacturers alike.